Deciding on a new drainage system can be a complicated and frustrating task. Here at Bloom Crawl Space Services, we are professionals in not only pest control but in crawl space drainage systems as well. Please call us today and schedule your free estimate and quote. A French drain is a drainage system, composed of a trench filled with gravel that has a connected perforated pipe used to collect water and moisture to then direct it to another area. The purpose of this type of drainage system is to prevent water from saturating building or home foundations that can cause substantial and costly damage. A French drain system is one of the most effective drainage systems used to remedy water and flooding problems. There are many ways to remedy your crawl space water problems. How do I know if I need French Drain? There are many issues you may encounter that would indicate the need for a French drain system. If you are noticing perched groundwater, this is an issue you must address quickly. Perched groundwater can lead to many issues including growth of mold and mildew in home and building structures, issues with seepage in streets which encourages growth of algae and degradation of crawl space coverings. Issues with hydrostatic pressure could also result in the need for a French drain, as well as a wet basement or a wet crawl space. Leaving these issues unaddressed can lead to pricey damages due to your home or building structure being compromised. Additionally, if you have expanding soils, a French drain system is imperative. Expanding soils are ground soils that have the ability to absorb large quantities of water which causes them to expand exponentially, which can produce many undesirable outcomes. These outcomes include structural damage to nearby homes and buildings, and an unstable home or building foundation. Typically, French drains are installed around the home or building’s foundation. 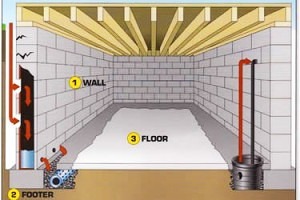 It is either installed in the homes crawl space , beneath the basement floor or underneath the ground. They can also be installed around the outside of the home or building’s foundation. 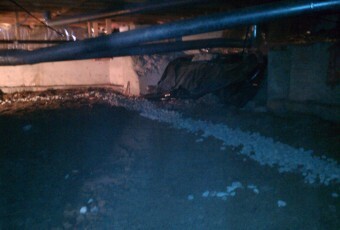 Bloom is highly experienced when it comes to french drains, particularly those installed in a homes crawl space. If your home is like many Portland and Vancouver area homes, you may find the need to explore options to keep your homes crawl space dry through use of a properly installed french drain. Call or click to set up your free home estimate today.